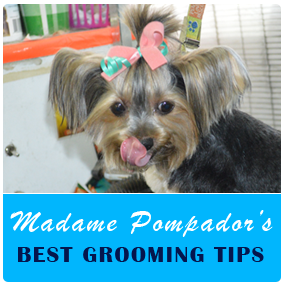 Madame Pompadors Grooming Corner You can also improve your pets grooming with simple grooming tips. © Madame Pompador Dog Grooming 2017. All Rights Reserved.